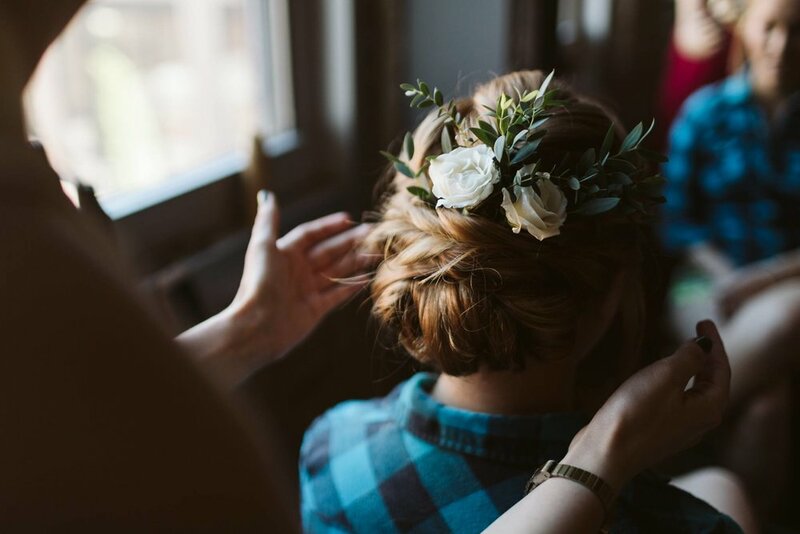 Sometimes it’s easy to forget that the preparation, design, planning, though VERY important, are just details that surround a commitment that’s being publicly professed and celebrated. 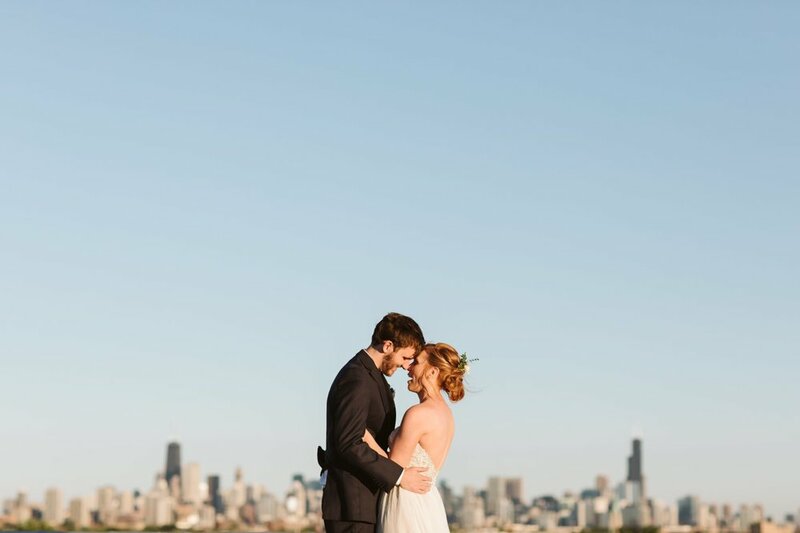 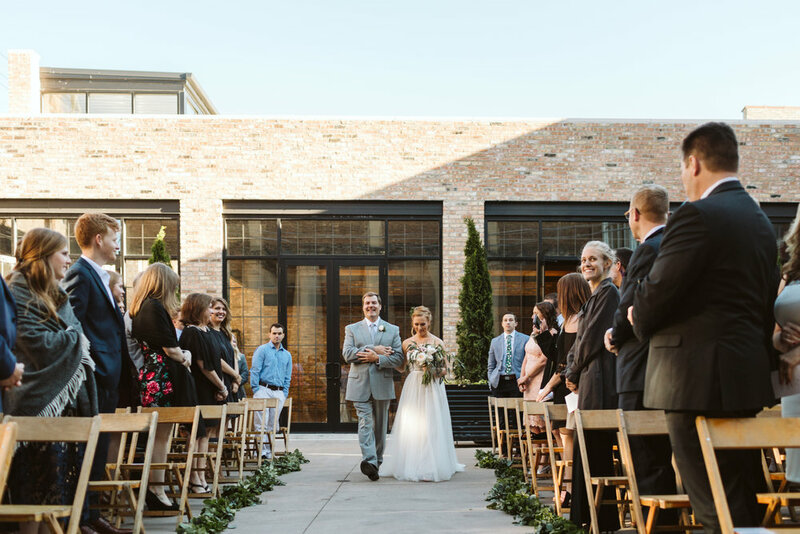 This was not the case with Garrett and Krysta’s spring wedding! 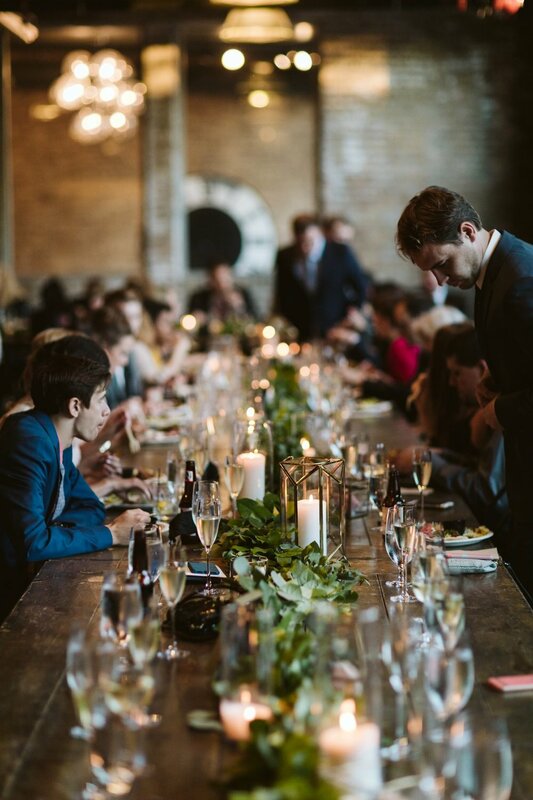 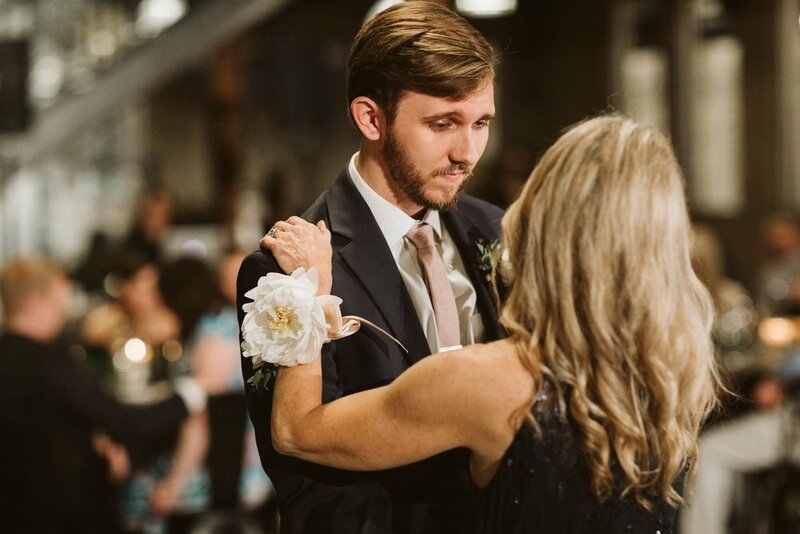 Getting to work with the bride, her parents, and the groom’s mother on the design of this event made us feel like we were part of an intimate gathering, a tribe that was all working together to support this new young couple. 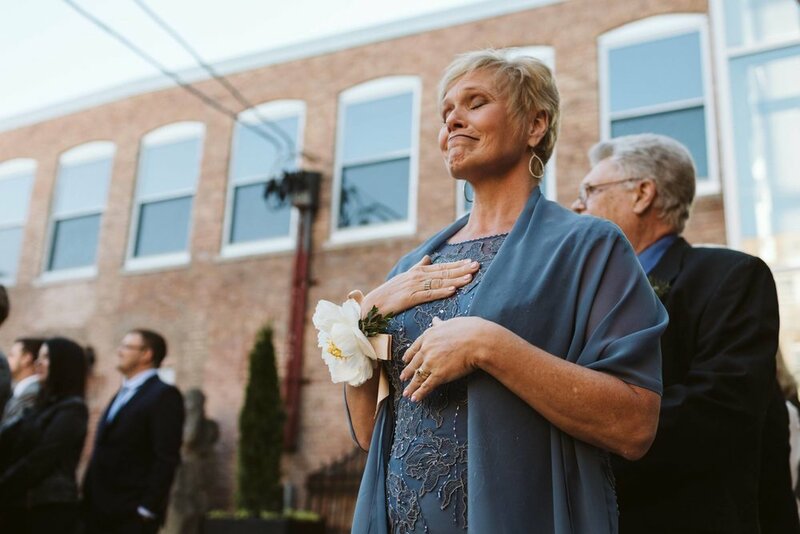 Their wedding centered around two families truly uniting to support and celebrate the beginning of their life together and blending together as one large family, spanning a few generations, that gathered from different parts of the country. 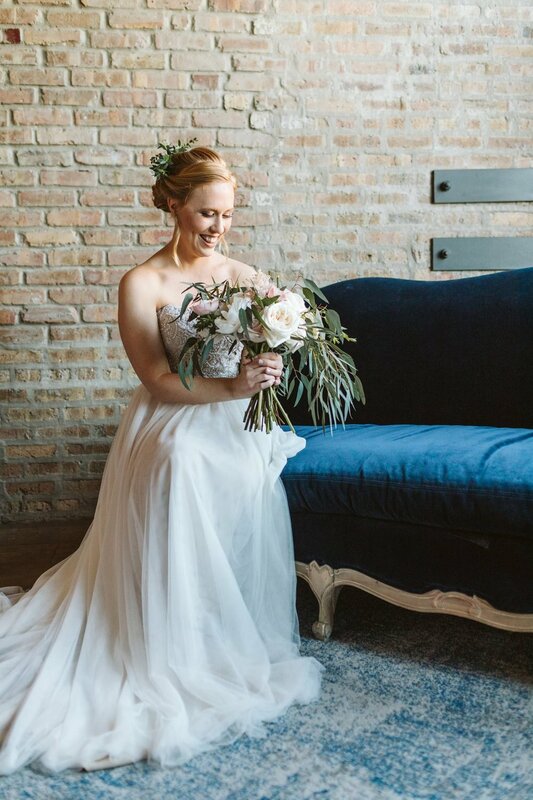 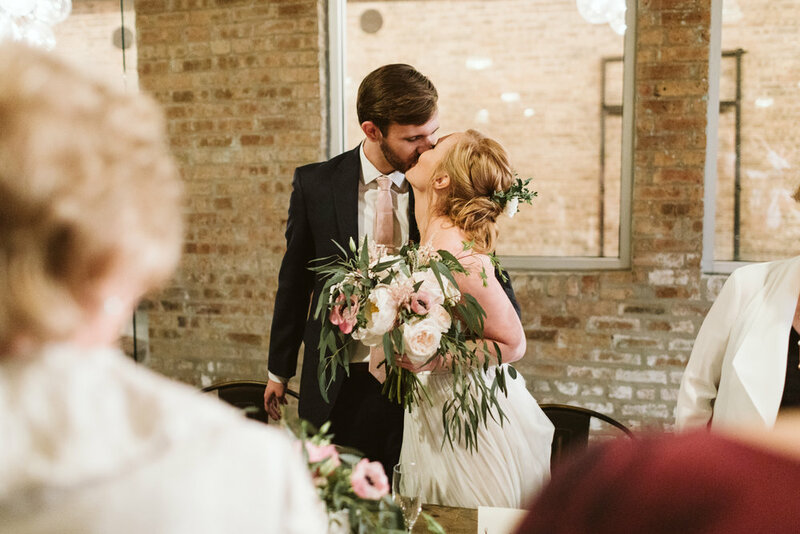 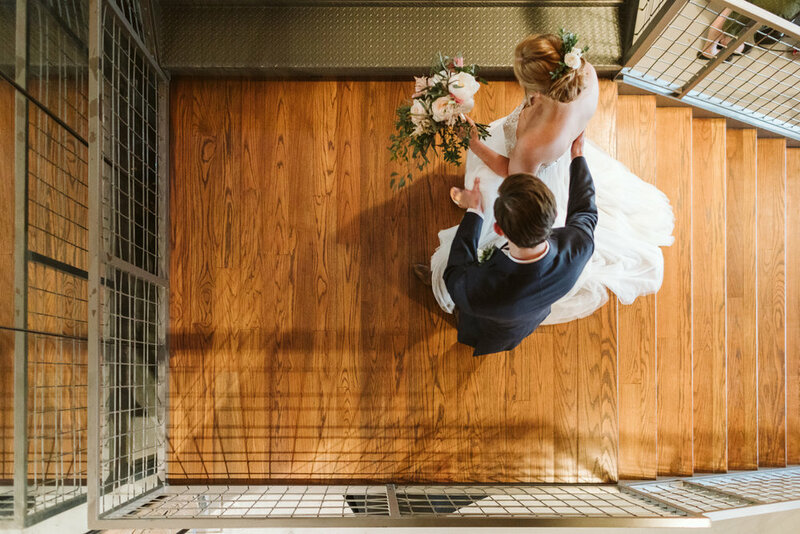 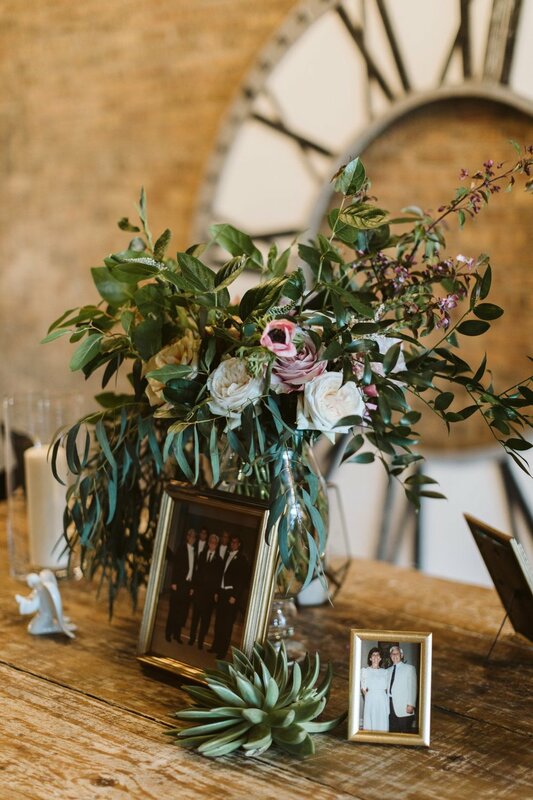 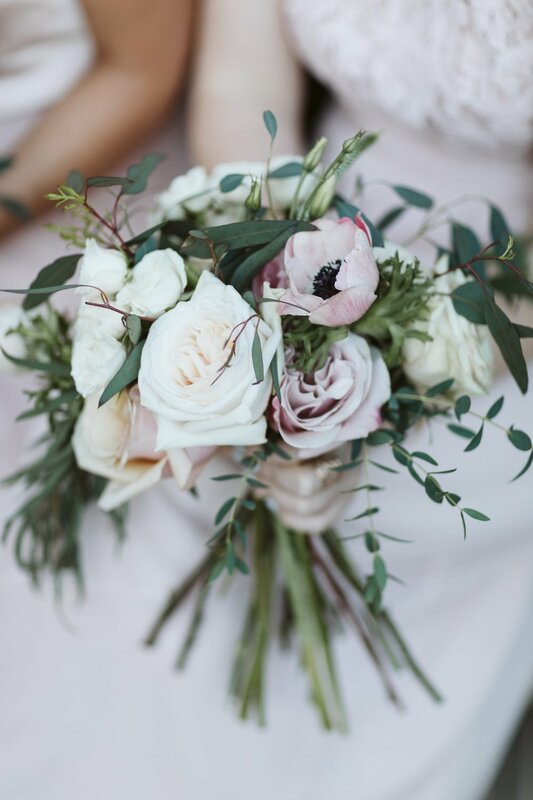 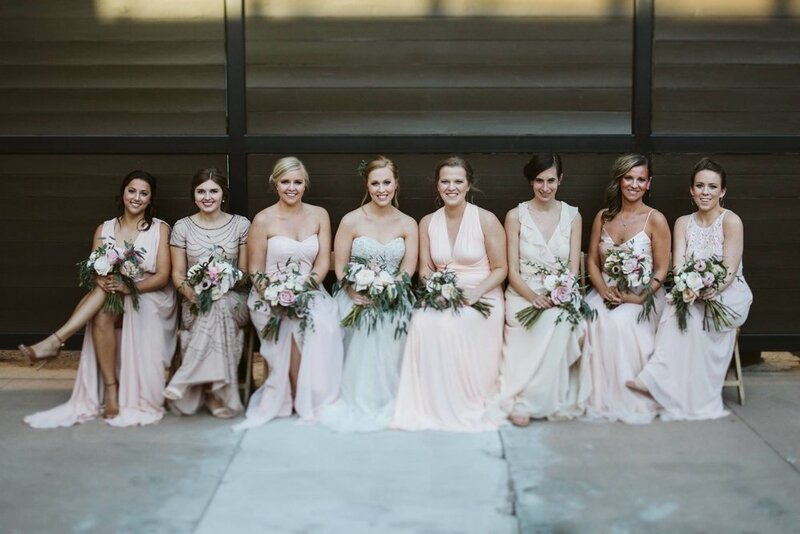 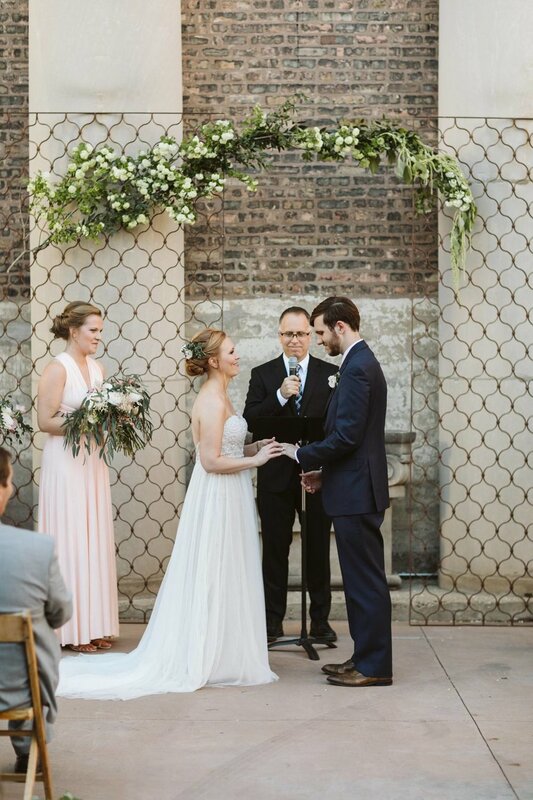 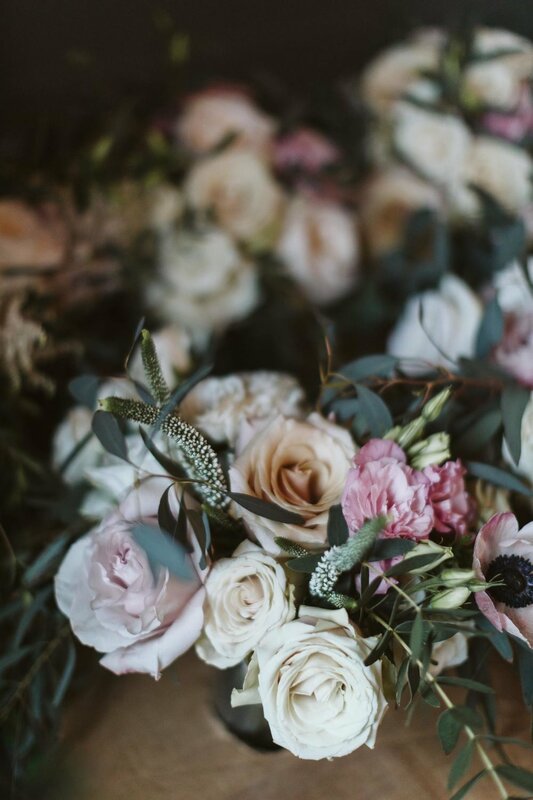 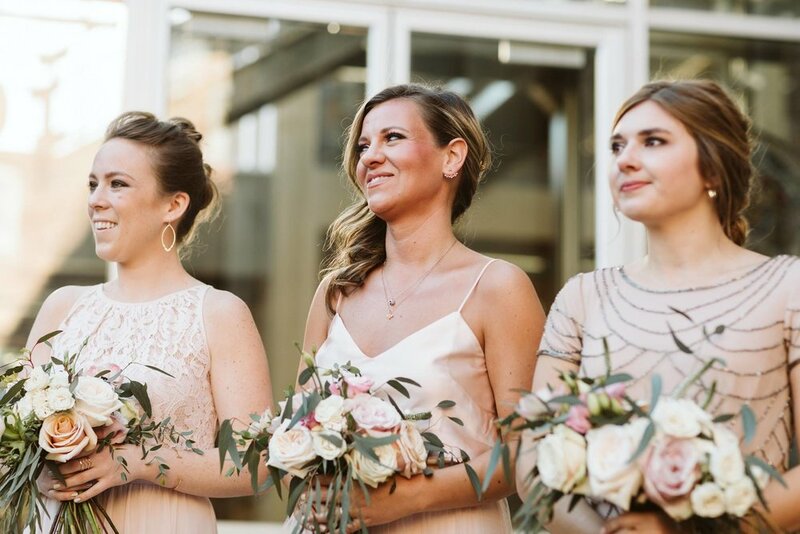 We loved using the bounty of spring flowers like peonies, garden roses, and anemones in soft colors, with lush greens, paired with an industrial space with a vast courtyard, to bring Krysta’s vision to life.